Download all other works from the "Kothai's works" tab. 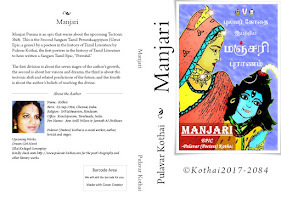 Pulavar Kothai is the first and second Penpaar Pulavar to have written Sangam Tamil Epics in the language, namely Potruhil (2012) and Manjari Purana (2018). 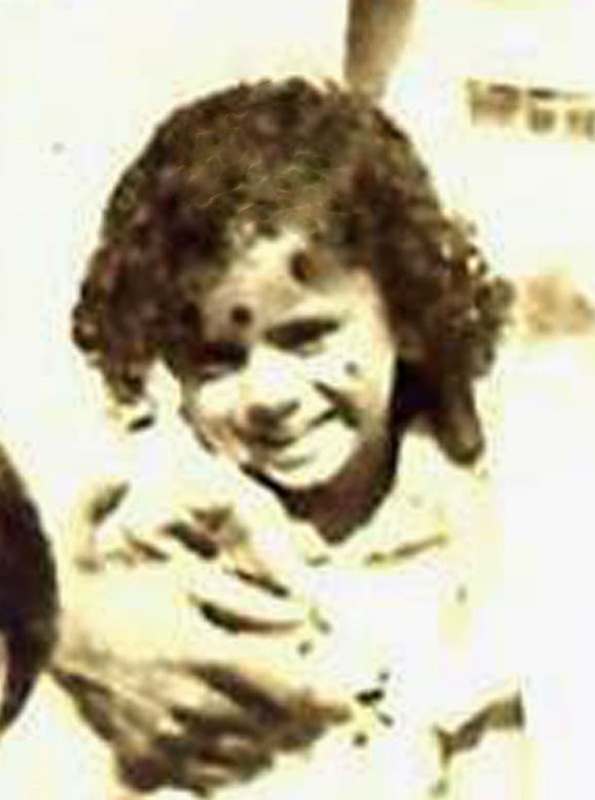 Born: Chennai, India, September 3, 1984. Education: D. Pharm., M.A. English, B.Ed. Religion: Sri Vaishnavism, Hinduism. Also worships Shivite Gods. Talents: Singer, Poet and Author. Services: Animal Rights, Human Rights, Environmentalist. Affiliation: Sri Ranganathaswamy and Thaayar, Shiva-Vishnu Temple, Maraimalai Nagar. When Kothai was a child, she was different from her little friends by means of reasoning and innovative capabilities, and her favorite pastime was daydreaming. She grew up as a confident young girl and her writing started from her school days being inspired by the diverse and beautiful Indian culture as well as for the school activities in both English, the medium of study as well as Tamil, her mother tongue. She did her BA and MA English studies after and wrote her first published work, a novella, "The Pearl Box and the Seahorse" when she was 21. She obviously has a great passion for the British Isles, which is evident from her works. She herself made sketches for "The Pearl Box and the Seahorse," that depicts what she had in mind. Her debut Tamil novel, "Antha Iruvarin Naatkurippugal," written in 2009, was released in 2010. 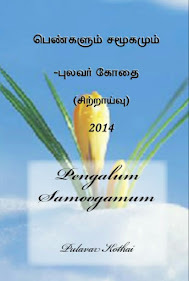 Kothai wrote Potruhil (2012), Tamil's Sixth Great Epic (Perumkaappiyam), the First by a poetess. She is also the second Great epic (Perumkaappiyam) writer by her Manjari Purana (2017). 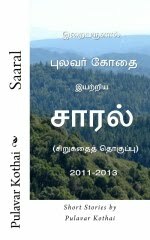 "Puram Nooru"(2013) a collection of hundred archaic Tamil songs of the Puram genre written by Pramila is about to be published in 2016 along with "Agam Nooru" (2015), both of which she says has many sweet Sangam Tamil songs. Chellak Kaadhalan is a music album made out of a song from the screenplay script of "Vaazhvin Ellaik Kodugal," a novel by her, which is about to be released as the movie, "Siragugal." She lives with her single foster mother and continues to write and uses the official name"Kothai" for her works. Kindly check "Kothai's Works" tab for details and downloads of her works.